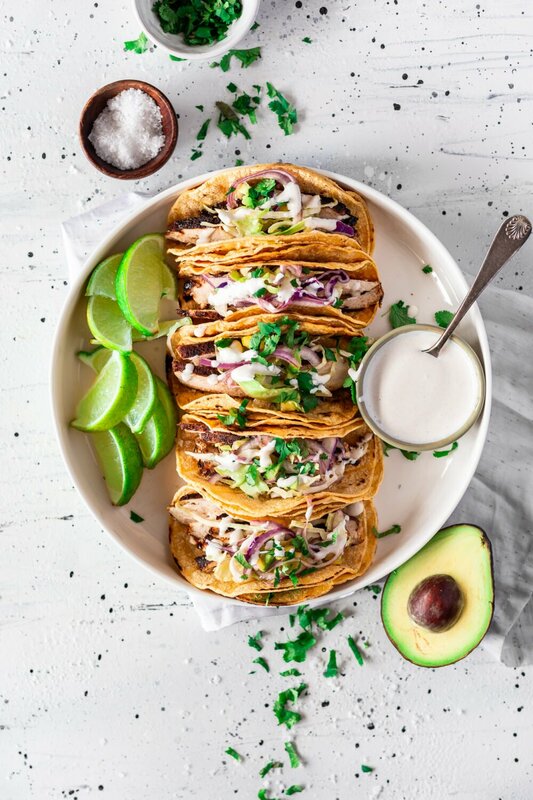 This post is sponsored by Mirum Shopper, though all opinions and recipes are my own, so enjoy! 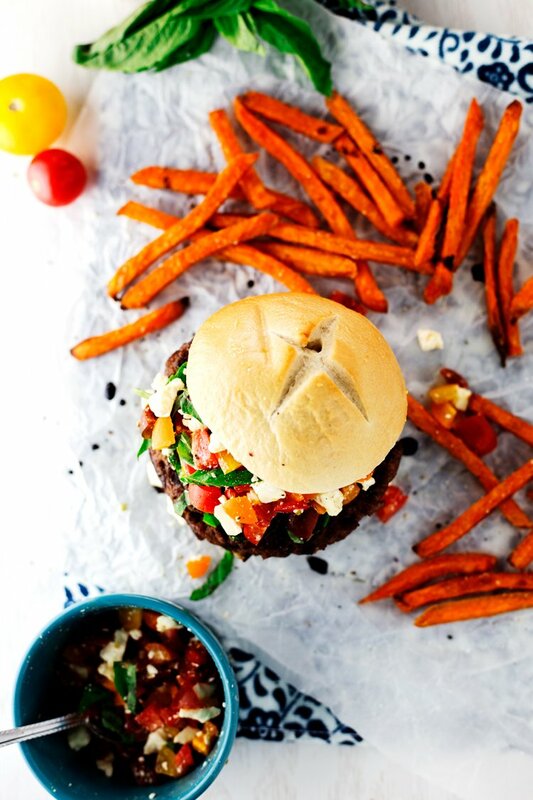 Summer is in full swing, folks, so you know that means grilling up some of the best and juiciest burgers around, like these Easy Bruschetta Hamburgers! 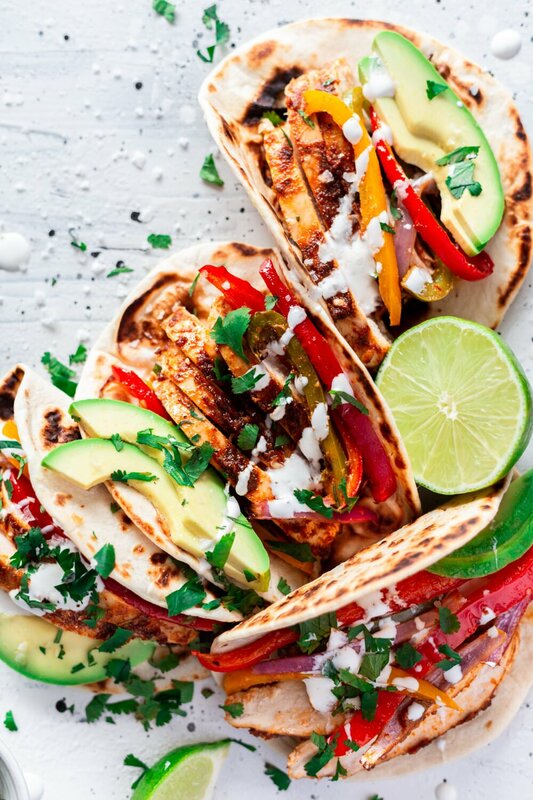 Living in South Texas, we tend to grill year round because we can, but there is still something magical about a summer cookout that brings friends and families together like no other. Since we’re a foodie family (seriously, pretty much everyone has worked in restaurants, bars, or just rules in the kitchen), we aren’t content to hang out with just a Plain Jane Burger every time, so we’re constantly striving to bring new and exciting flavors to the table! 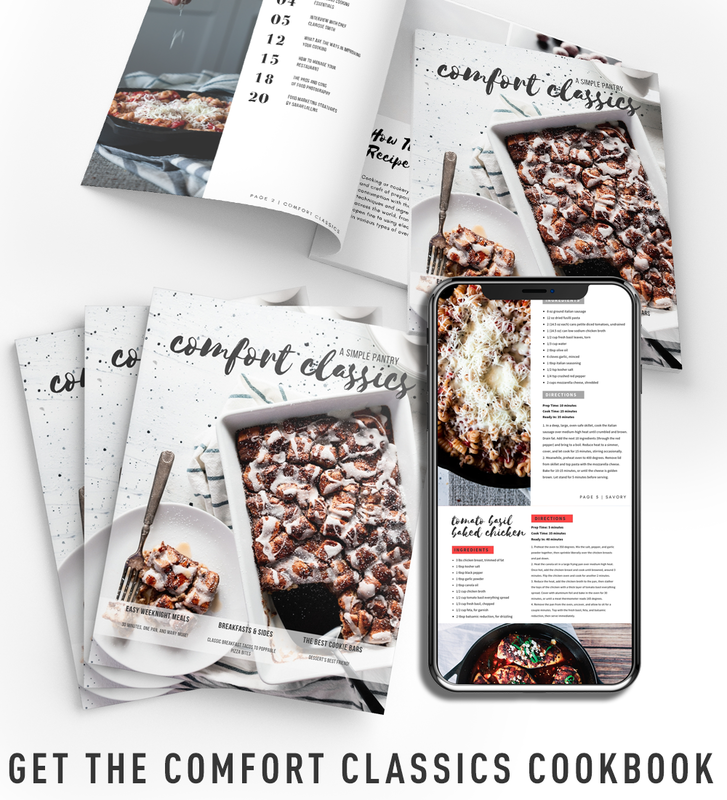 If you’re a frequent reader, you already know from my Spicy Mexican Bruschetta, Bruschetta Mozzarella Bites, and Caprese Bruschetta, that I love me some deliciously easy bruschetta dishes. It was this love for the freshness of this combination that I thought it would be amazing on a burger. I mean, most people already love tomatoes and cheese on burgers, am I right? 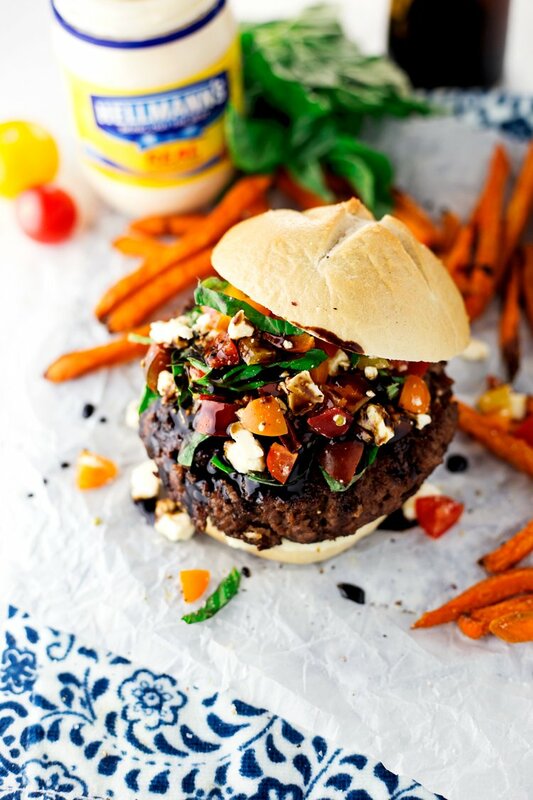 So why not dress it up by using feta cheese, adding some basil, and drizzling it with some balsamic reduction?! I swear it’s like the heavens opened up and the angels started singing. OK, so maybe I am exaggerating. But only slightly. Because it might not have been angels so much as myself, attempting to warble a hallelujah. 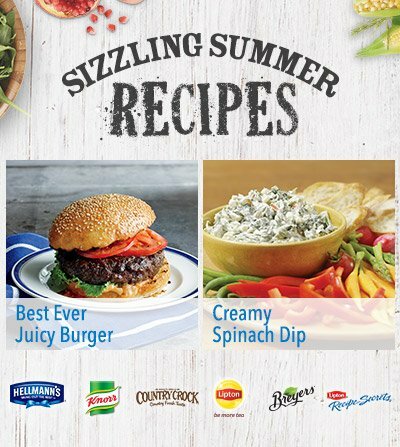 I started with Hellmann’s Juicy Burger recipe, which is amazing just on its own merits. Then I fancied it up with some basil, oregano, and a little garlic before grilling it to perfection. All I had to do after that was mix together the bruschetta ingredients and throw it on top of the burgers and voila! Instant perfection. Definitely do not forget the balsamic reduction though, because that stuff is amazing, and this burger won’t be complete without it. So don’t forget! 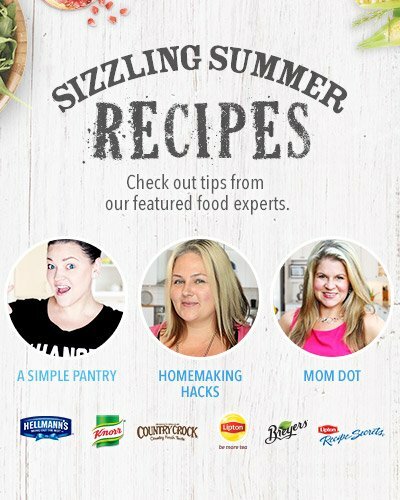 Be sure to check out all the amazing meal inspirations with Walmart and Delish, which is one of the Top 10 food-related destinations online, and of course, with yours truly! 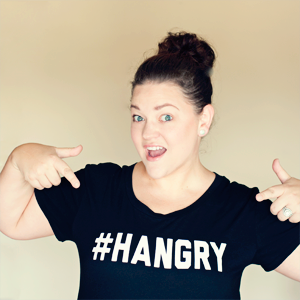 In the meantime, let’s make some easy bruschetta hamburgers! Woo! 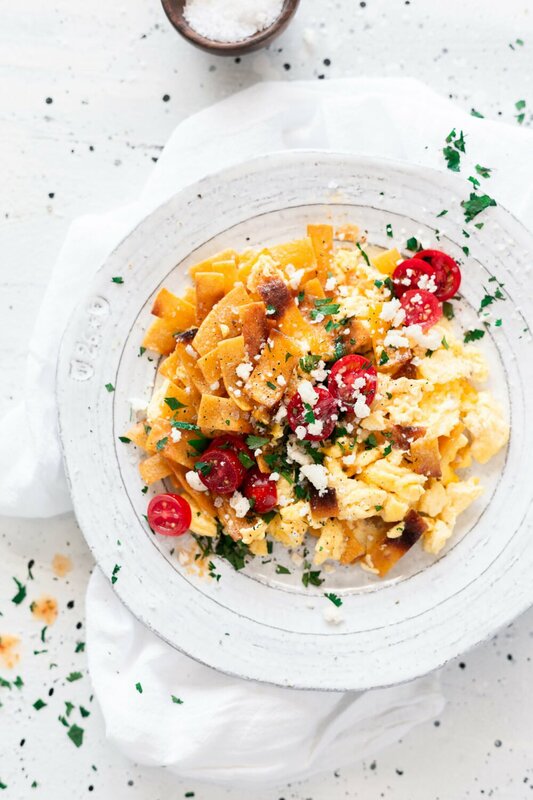 In a medium-sized bowl, combine all the bruschetta ingredients, except the reduction, and set aside. 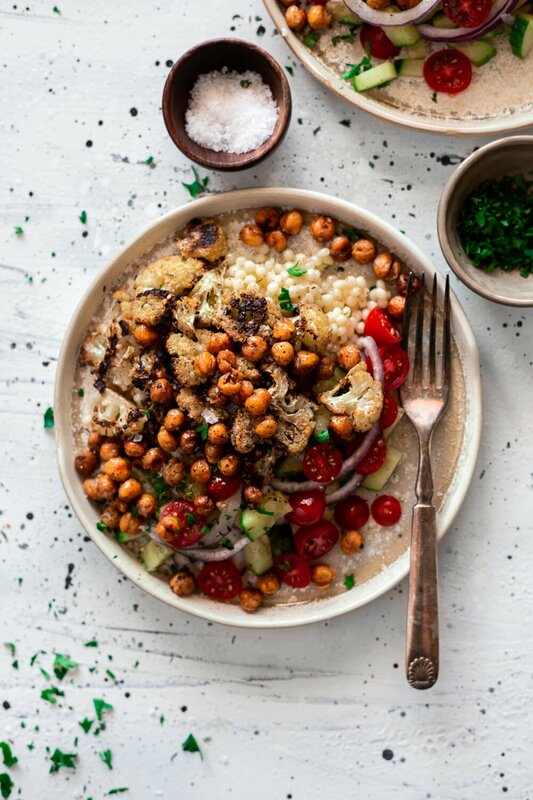 Combine the mayonnaise, bread crumbs, soup mix, basil, oregano, garlic powder and ground beef in a large bowl and mix by hand until thoroughly incorporated. Split the mixture into 8 balls and shape into patties. Prepare a grill at high heat, brush the grate down with oil and grill each burger for 3 minutes on one side before flipping, then another 3 minutes for medium rare, and around 6-8 minutes for well done. 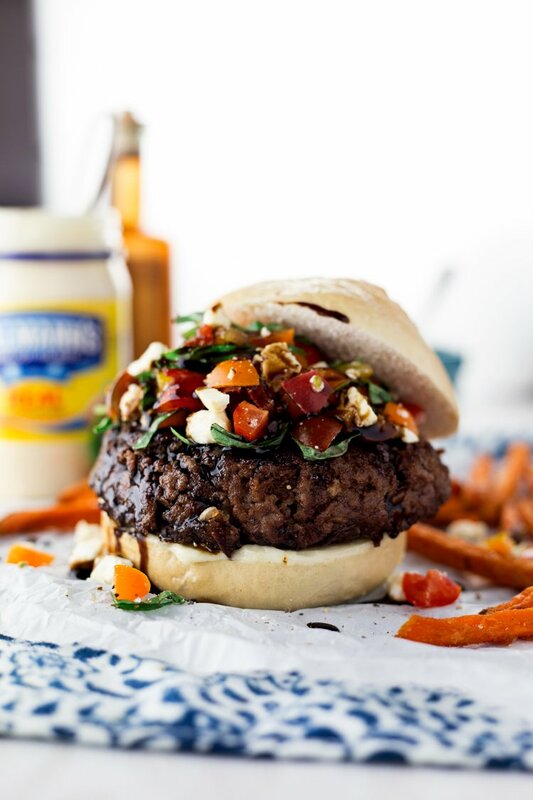 Place each burger on a ciabatta bun, top with a heaping 1/2 cup of the bruschetta mixture, and drizzle with 2 tablespoons of the balsamic reduction. Serve immediately. This sounds really good, but it seems like it would be super annoying to eat. Doesn't the bruschetta just fall out every time you pick it up or take a bite?? Nope! It stays together pretty well! What an awesome looking burger! 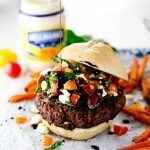 I get bored with the same old burgers every time too, and combining bruschetta with burgers is a great idea to mix things up. It's such a summer hamburger!! I love the toppings... feta cheese, basil and balsamic... it's a perfect combination. 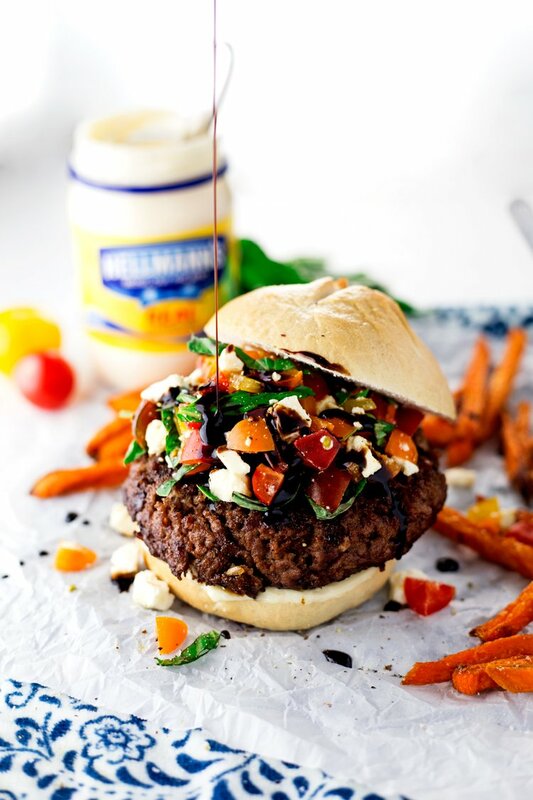 Yes indeed, there is something special about summer cookouts and this hamburger looks amazingly special! This is my kind of hamburger! I can't wait to try this out. I love a good cookout, but it's fun to change up the same old burger every now and then :) Thanks for the great recipe! hahaha this is so fun! I love bruschettas and love hamburgers, what a perfect match! Can I use fresh herbs too? Interesting distinction: pushing and sharing.When one makes a quantum leap in awareness, one is very likely to want to share that insight. Pushing it is something else again, and probably the one is easily mistaken for the other. 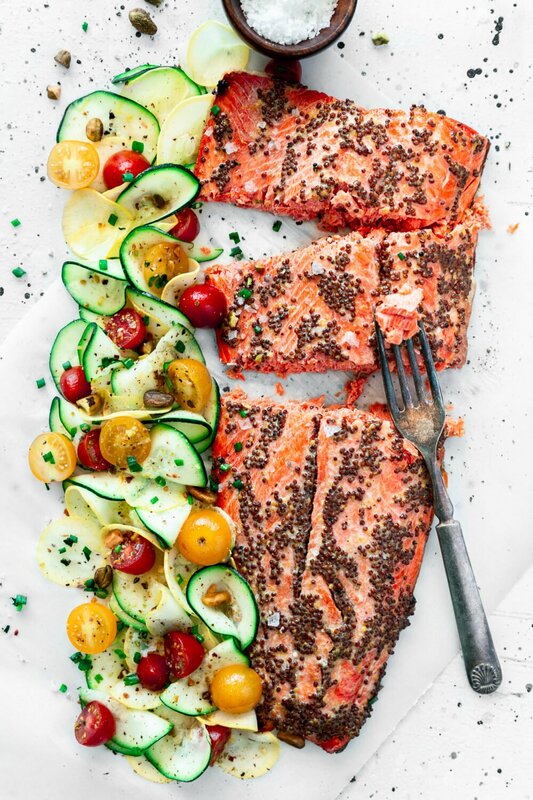 Oh my goodness, this looks marvelous! I love how you filled the burgers, they're nice and big!